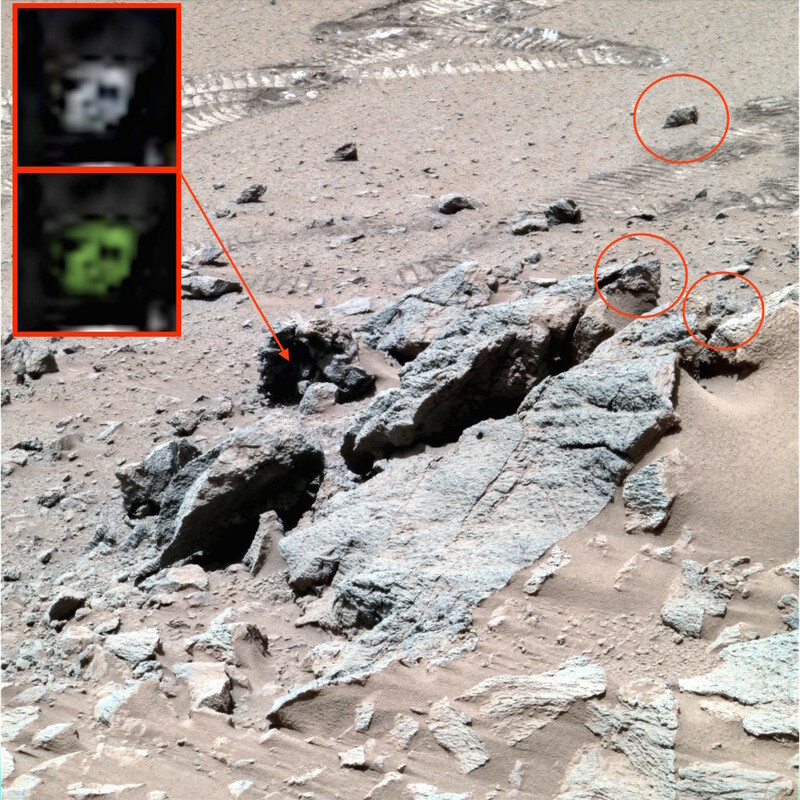 UFO SIGHTINGS DAILY: 3 inch alien looking out of cave on Mars in NASA photo, May 2016, photos, UFO Sighting News. 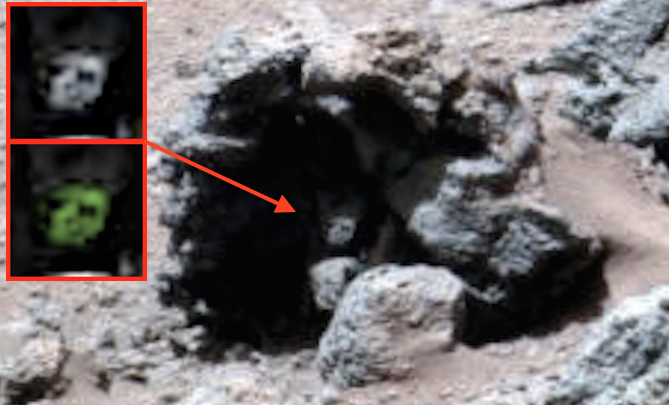 3 inch alien looking out of cave on Mars in NASA photo, May 2016, photos, UFO Sighting News. 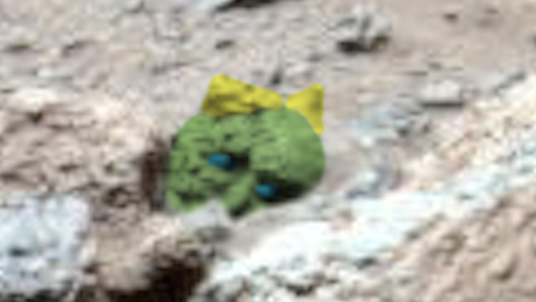 Faces...they are everywhere on Mars. The face above looks like a live creature about 3 inches tall looking out from the safety of its cave. 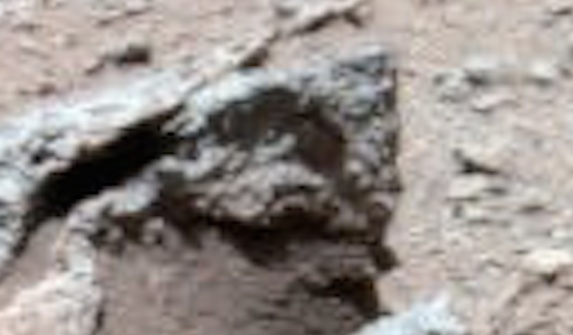 To get its height I compared it to the Mars Spirit rover tire tread that we also see in the photo. 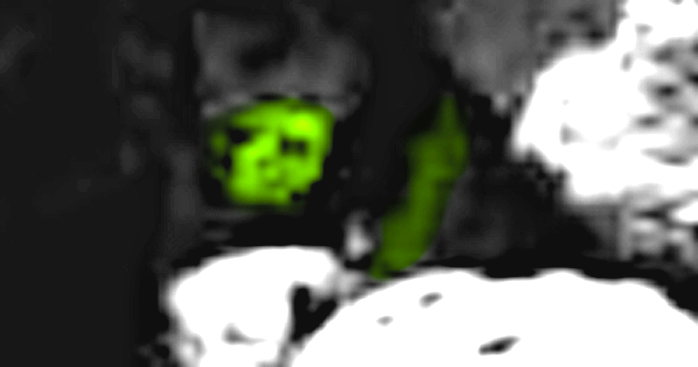 Another face (below), is one that has never been seen before. I almost missed it, because it was so...different from others I found. Its almost bison-like in appearance. There is also 75% of a human like head (sculpture) peering out from behind the rocks. It has two pointy parts on its head I made yellow, what they are...who knows? They may be horns, ears, or even the pointy parts of a crown. So, this is what I found today. I hope you like it, and I hope it make you think differently about the world around you. This photo above of this bison-like creature is very exciting and strange. 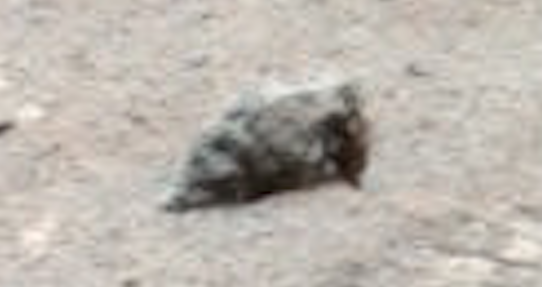 Do you see its teeth? Its head is covered in long curly fur. Strange beast.